Tyre Guide: Which 'cross Tyres Should I Ride or Race? Top photographer Steve Fleming has captured the famous Three Peaks Cyclocross Race an amazing 38 times since 1979. Here, a week ahead of the 55th annual race, he selects 14 of his favourite images from 1980-2016. AS a young club rider with Blackburn CTC it was an annual pilgrimage during the 1970s to ride out the 30 or so miles into the Yorkshire Dales and watch the Three Peaks race in the closing stages usually in fine autumnal weather. In 1979 my girlfriend (later to become my wife) and I, armed with our new Nikon FMs, decided to photograph the event on Horton Scar Lane - the final mountain descent. It was one roll of slide film each, just 36 exposures. How different it is today, still with our Nikons plus a Leica, we think nothing of shooting 3,000 exposures these days. Here I've selected just a few of my highlights from the last 38 years of the race. 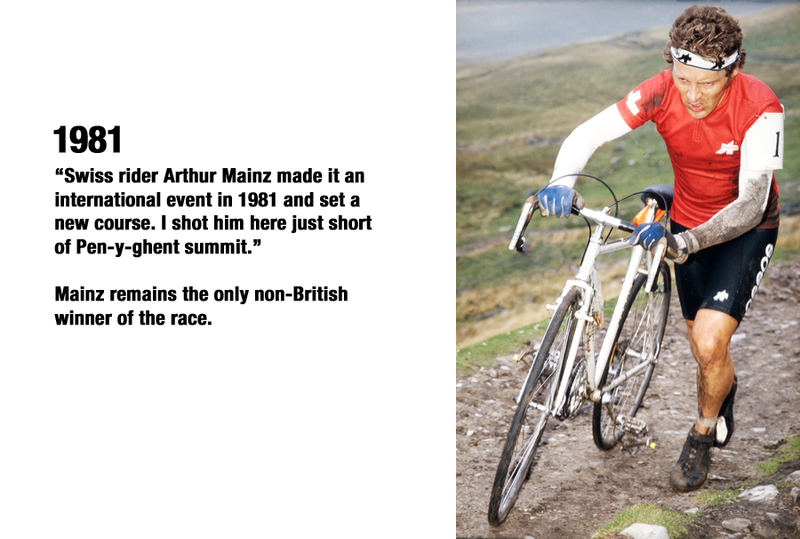 Cyclocrossrider wishes you all the very best if you're competing in the Three Peaks race. See all our Three Peaks articles here.